Anthony has advised and appeared on a wide range of matters in the Local, District and Supreme Courts of NSW, as well mediations. 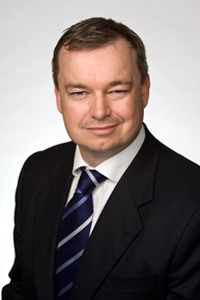 He has appeared as Junior Counsel in the NSW Court of Appeal, the ACT Supreme Court and the High Court of Australia. Anthony’s areas of practice include public liability, insurance, professional negligence, property damage, CTP Claims and CARS assessments, insurance fraud, commercial law, equity and construction. Anthony was employed as a solicitor in the Insurance Litigation section at HDY. He acted for commercial insurers over a diverse range of litigated claims and managed a busy practice comprised of litigated proceedings in all NSW Courts, together with Appellate matters in the higher courts. During his employment with HDY Anthony was seconded on a full time basis as in house claims consultant to the National Office of Royal & Sun Alliance Insurance (now Vero Insurance) on two occasions in 1999 and 2000. During this time he conducted a national audit of R&SA’s re-insurance arrangements with HIH as well as managing a national claims practice with responsibility for the conduct of multi-million dollar claims. Working in civil and criminal assignments.